Miami dentists have warned patients of fluoride overload. Our Miami Dentist Blog wrote of this issue in late November. The article is titled Warning: Too Much Fluoride and it serves as a good information source for further details on the effects of excessive fluoride intake. The warnings have gone national; this weekend’s installment of the Wall Street Weekend Journal features an article on the harmful effects of excessive fluoride. The Federal government now warns Americans that the mineral may cause fluorosis in young children, a condition whereby the enamel of the teeth becomes streaked with off-white discoloration. This news is in light of a recent Center for Disease Control study conducted between 1999 and 2004. The study found that a whopping 41% of children ages 12-15 exhibit signs of dental fluorosis. This rate has nearly doubled since 1986, when levels were only about 23%. Fluorosis is a discoloration of tooth enamel. Fluorosis is caused by excessive ingestion of the mineral fluoride. The mineral is most readily available in unfiltered tap water, however, is becoming widely applied to a variety of dental products. When is my child most at risk? Children are most at risk around age 8. This is a critical moment in the child’s life, as the permanent teeth are developing below the gums. Survey your smile. Those at risk of excessive fluoride intake will notice that their teeth have developed vertical, off-white colored streaks. Also consider the frequency with which you use or consume the following: tap water, fluoride supplements, fluoride mouth rinse, and fluoride enriched toothpaste. What may I do to prevent fluorosis? Limit your intake of fluoride. Consider purchasing a water filtration device to remove the fluoride from your tap water. 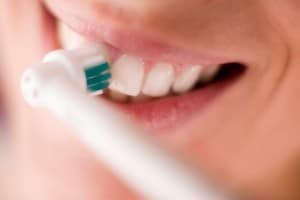 Also, avoid toothpastes, supplements, and mouth rinses rich in fluoride. Holistic dentists have been aware of the potential for fluoride overload for some time. If you are searching for a dentist in Miami, you may wish to find a professional who takes the holistic approach to dentistry.